Bryan reportedly suffered an injury at WrestleMania and hasn't been seen since on WWE TV. Everyone loves a good rumour, right? Something to talk about with other people over a water cooler. In WWE, everything moves so fast. Not just the Superstars in the ring, but all the latest news and rumours that reach the public every single day. With WrestleMania behind us, the men and women of RAW and SmackDown Live prepare for the Superstar shake-up in just a few days. And after that will come Money in the Bank, where a career can change forever. Here are five rumours from wrestling this week that you really need to know. Note: Please remember that every rumour presented here is just that, a rumour, something to have fun with. Whilst some may seem more likely than others, please take all of them with a grain of salt. #5: The Almighty to take time off? Lashley has become a two-time Intercontinental Champion since returning to the WWE in 2018. On the RAW after WrestleMania 34, the WWE Universe saw the return of a huge star. 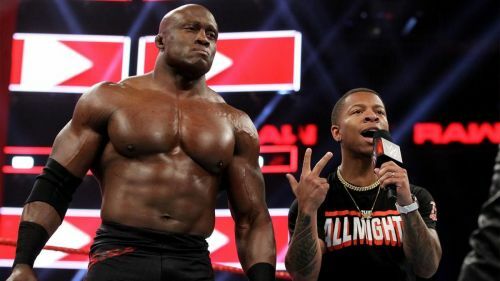 After over a decade away from the company, Bobby Lashley made his presence felt at the expense of Elias, and has been dominant ever since. Feuding with the likes of Sami Zayn, Kevin Owens, and most recently Finn Balor over the Intercontinental Championship, the former Army officer has done well in this recent run. But in an interview with Sky Sports, Lashley revealed that he may take some time away from WWE, to return to the world of Mixed Martial Arts. We should stress that Lashley said may, and nothing is set in stone. The former champion did say if he left, it wouldn't be until after Summerslam, meaning plenty more months of the Almighty in WWE.